EXCLUSIVE: Listen to ‘Big Top Town’ by Whiskey Foxtrot today. Whiskey Foxtrot, comprised of Seth Williams – Vocals/Guitar, Sam Foster – Vocals/Guitar, Brad Cardille – Bass/Vocals, Terry VunCannon – Lap Steel and Steven Worley – Drums/Percussion has been methodically releasing songs throughout 2019 as work on their debut album continues. A recent Indiegogo Support campaign for the record wrapped with the band achieving over their anticipated goal, in part due to the small taste fans have received over the past few months. Their first two singles, ‘The Broken End’ and ‘Turn Off the Headlights,‘ were released in January before ‘San Isidro‘ last month. Each provides a glimpse into the group’s sound, featuring a talented lineup that many have witnessed first-hand at shows across the southeast over the past couple years. Whiskey Foxtrot now has a fourth single, ‘Big Top Town‘ and RedDirtNC caught up with the band for a first listen before it’s available everywhere tomorrow – April 20 (Saturday). Each release has been unique and this one is no different, immediately drawing listener’s attention as a carny hustling cotton candy bookends the studio version of a song filled with lyrical imagery. The diversity of sound Whiskey Foxtrot continues to display is impressive – especially for a band who is currently compiling their first ever album as ‘Big Top Town‘ leans in more of The Allman Brothers Band direction with two prominent guitar solos and a southern rock feel. Williams’ tale seemingly focuses on the small town dynamic that so many people can relate to regardless of where you live. Adjusting and learning to accept and love life where you are, regardless of the circus going on around you. “This place has it’s ups and downs, well hell now don’t we all … can’t change where I am, make the best of what will be – truth be told, this place, well it’s the place for me.” Another great sounding piece as well, recorded at Earthtones Recording and mastered by Alien Beans Studio/Kings X. No official release date has been set but with the previews provided it’s apparent a masterful body of work is about to be unleashed into the world. Until then, keep spinning these four tunes, go see a live show and wait – patiently of course. From humble beginnings, much like the festival founders, MerleFest has grown into one of the world’s largest musical events. The now four day show occurs on the campus of Wilkes Community College (WCC) in northwest North Carolina with over 100 artists performing on 14 stages, entertaining over 75,000 spectators annually. The first show occurred in 1988 when WCC horticulture instructor Frederick Townes IV, nicknamed “B”, orchestrated a one-night performance from Doc Watson to serve as a fundraiser for the development of a sensory garden for the blind. Watson agreed, asking that the garden be named in honor of his late son, Merle. Merle Watson was best known for his musical performances alongside his farther as the two released 12 albums over 21 years before his untimely death from a tractor accident on the family farm. The grounds at WCC became known as the Eddy Merle Watson Garden for the Senses and the event evolved into its current state over the past 31 years. Brining together traditional bluegrass plus those who flirt with a similar sound in some respect, many world renowned performers have graced one of the many stages at MerleFest during their careers. Willie Nelson, Dolly Parton, John Prine, Ricky Skaggs, Alison Krauss, Kris Kristofferson and Old Crow Medicine Show are just a handful of the names whose music has been heard here before. Each year brings in even more talent and with a stellar lineup, the 2019 festival is no different. The Avett Brothers, Brandi Carlile, Amos Lee, Wynonna and the Big Noise, Tyler Childers, Radney Foster, The Black Lillies, Sean McConnell, Elizabeth Cook and American Aquarium are just some of the acts who will put their musical talents on display next weekend. Music begins on Thursday afternoon at 3:00pm and continues through the weekend until the festival concludes on Sunday at 6:00pm, following the return of The Avett Brothers to the Watson Stage. 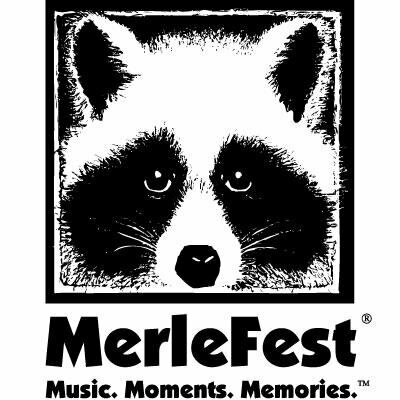 The full lineup and stage performances can be found here or by visiting MerleFest.org. Tickets are also available, including two reserved seating options for a four-day pass and general admission as a multi or single day ticket. Rivers Edge camping (RV Camping is FULL) is also an option for those planning to attend the entire event. Get your tickets now to be a part of a wonderful weekend of music in the mountains. Depot District Music Fest registers impressive second-year effort. A little rain wasn’t going to stop this train as Depot District Music Fest fans began crowding onto the hillside in front of Breeden Amphitheater just after gates opened at noon. Downtown Lexington was abuzz with festivalgoers from all across North Carolina, the southeast region and even the United States. A solid lineup drew folks from all around gathering together to share in some fellowship, food, fun and an appreciation for live music. Grey skies and rain greeted On the Border – The Ultimate Eagles Tribute Band when they first took the stage a little after 1:00pm but by the end of their two-hour set, it seemed the rain had subsided. Those in charge did a great job of helping to keep folks dry by allowing umbrellas into the venue and setting up tents for both VIP and general admission fans. As Sister Hazel took the stage, a few moments of sunshine lit up the festival grounds and although temperatures were a bit cooler than anticipated, it was a nice reprieve from the rain. Midway through it cleared up entirely as the remainder of the event took place under overcast skies. The crowd began to swell as the rain subsided and many were on hand when the group broke into their 1994 hit song, ‘All For You‘. Turnpike Troubadours fans crowded onto the front rail prior to the band from Oklahoma making their way on to perform. Not everyone was standing by the time the 5:30pm set time rolled around but midway through their first song much of the crowd joined those in the first fifteen plus rows. Ultimately, the entire audience was up and singing along with lead singer Evan Felker, who gave an energetic performance through ‘Every Girl‘, encouraging crowd participation during ‘Long Hot Summer Day‘ before giving a shout out to ‘The Bird Hunters‘. It’s a safe bet that if anyone in attendance didn’t know who the Turnpike Troubadours were before, they left as fans. To end the evening, Delbert McClinton and his blues style rock band headlined the solid lineup constructed for Depot District Music Fest. Packing a full slate of musicians with drums, keys, guitars, bass and horns onto the amphitheater stage, McClinton sang his numbers into the evening before wrapping things up just after sunset. Closing out what was an incredible full day of music orchestrated by those responsible for the festival and the city of Lexington, which should have plenty of returnees for a potential third installment next year. Always ‘Working On A Song’, Todd Snider took the stage in Asheville Sunday night. Asheville welcomed singer, songwriter Todd Snider to The Orange Peel stage as he and fellow musician Reed Foehl concluded a three day weekend run across North Carolina. Beginning in the capital, Raleigh, with a Winston-Salem stop in between, the two played before a near capacity crowd on Sunday night. Foehl began his first trip to the city on a bit of a somber note, having received some personal news he shared with the crowd before dedicating ‘Goodbye World‘ to a friend. His set was a perfect balance ahead of Snider as the two appeared to be seemingly cut from a similar cloth. Two true troubadours who are so dedicated to their craft, they enjoy nothing more than sharing their songs with the world. On Sunday night, those in attendance and anyone who made it out to any of these three shows were blessed to hear the stories and turn off the world for a few hours of solid entertainment. After Foehl’s set, Snider took the stage following after his dog, Cowboy Jim, who does accompany him from time to time and appeared to be no stranger to the spotlight. Telling a few tales (that are every bit as enjoyable as the songs themselves) from his participation with Hard Working Americans to Jerry Jeff Walker hearing ‘Mr. Bojangles‘ late night on a street corner, Snider engaged with the audience. After playing a few from his latest project, “Cash Cabin Sessions, Vol. 3” – there is no (at least released) Volume 1 or 2, Snider hit on some old favorites and even took a few requests from the crowd, who offered plenty of suggestions. All were solid and his new material is reminiscent of these older hits, of which there are plenty with similar potential – including, ‘Like A Force of Nature‘, ‘Working On A Song‘ and ‘The Blues on Banjo‘. Just prior to the end of his set, Snider asked long-time friend Casey Kristofferson, who calls Asheville home, to join him on stage. The two paired for an excellent rendering of ‘Me and Bobby McGee‘, written by her father – Kris Kristofferson. A surprise twist providing the epic end to an evening with a solid bill in a great venue. Both Foehl and Snider were on top of their game throughout the performance, making new fans, surprising old ones and thriving in their element. Sean McConnell performed for a sold out crowd Friday night. Between songs, Sean McConnell expressed his gratitude to those in attendance for showing up but it was the audience who was ultimately treated. Explaining that he played to a small crowd during his first stop at The Evening Muse in Charlotte a few years ago, he followed it up by entertaining a larger group but a third time was the charm as McConnell took the stage in front of a standing room only, sold out venue last Friday night. Prior to his appearance on stage, Louisiana native Caleb Elliott celebrated his debut album release with a few songs and stories of his own. After years of backing other musicians, including performing with McConnell as one of only two other contributors in his latest venture, Elliott put “Forever to Fade” out into the world. For the entire night a focus was on the music in arguably the best listening room across the state. McConnell took attendees on an emotional journey sharing tales behind some of the songs and even a few dedications – one to his sister and another for a couple who had recently gotten engaged, all of whom were in attendance. McConnell’s latest album, “Secondhand Smoke”, is barely a month old as he embarks on a nationwide tour. Beginning the day prior in Carrboro, a sold out night two displays the impact he’s making through hard work and a dedication to the craft. Featuring songs like the heart wrenching ‘Beautiful Rose‘ and the more recent ‘Shakey Bridges‘, which relates to personal journey, McConnell concluded the evening in epic fashion. Going solo and stepping away from the microphone, McConnell put his talent on full display with a true acoustic finale – no sound, no flashing lights, no tracks – just a man and his guitar.